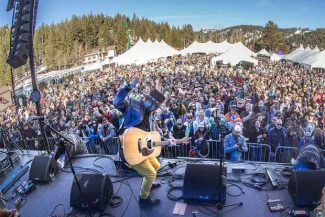 Little Hurricane, a rock and dirty blues duo based in San Diego, will bring their lo-fi sound to North Lake Tahoe for a free show at the Crystal Bay Casino. Billed as “the electrifying 14-piece tribute to Michael Jackson,” Foreverland will showcase its dynamic vocalists and powerhouse rhythm and horn sections as it recreates hits from the Jackson 5 era through the end of the King of Pop’s iconic career. Guitar aficionado George Souza will flash his flamenco, jazz and blues stylings this weekend with back-to-back free shows in downtown Truckee. 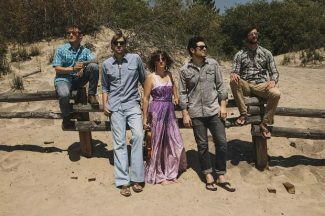 Forget the Roses, a four-piece outfit based in Truckee, will bring its blend of electrified Americana, bluegrass, blues and more to Bar of America for two free shows at Bar of America. 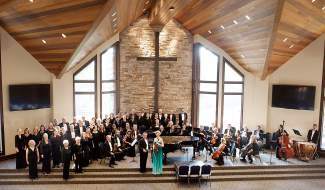 The Toccata Tahoe Symphony Orchestra and Chorus will kick off its annual production of Handel’s “Messiah” in Incline Village this weekend. Tintabulations, Reno’s own premier handbell ensemble that’s been performing since 1987, will perform a free show at The Village Church in Incline Village on Sunday. Comedian Jim Belushi, who’s credits include “Saturday Night Live” and more than 75 movies, will host an improv sketch comedy show on the South Shore this weekend. Truckee High School bands, under the direction of Mr. Jesse Steele, will present a festive community concert on Tuesday. The free concert will include performances by the Symphonic Band, the Jazz Band and a Jazz Combo group. Doobies Brother tribute band Doobies, Inc. will bring over 40 years of hits that could only come from the Doobie Brothers’ sound — an infectious mix of rock, country, R&B, jazz and folk — to Lake Tahoe on Saturday. 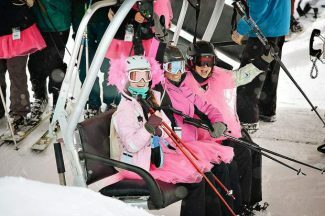 Ladies will enjoy 20 percent off on all retail and a free wine tasting, courtesy of the Pour House, at Tahoe Donner’s Alder Creek Adventure Center.